Bella Figuras letterpress invitation designs have knocked our socks off from the very first moment we held them in our hands. Their papers are unbelievably soft and thick, and their colors and graphics are stunning. Bella Figura is also amazingly dedicated to running an eco-friendly business. Among other things, they use green materials like vegetable-oil based inks and cotton paper made from reclaimed fibers, they donate 1% of their profits to environmental organizations, they participate in carbon offsetting, and they are 100% wind powered. Right on! 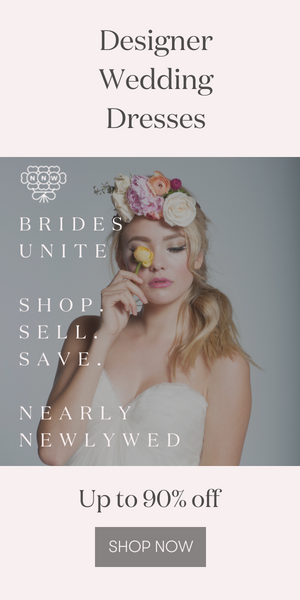 I was recently asked, along with a number of other bloggers, designers and brides, to choose my favorite Bella Figura designs for a sample pack option available on their website. Each set includes a selection of 5 invitations, their ink swatch book, paper samples, and envelope lining colors, all packaged in a keepsake Bella Figura box. The full cost from the sale of the Junebug pack will benefit the National Resource Defense Council and the cost is only $10 between now and August 11th, and $25 after that. If youre considering orderding any of their designs for your wedding, buying a sample pack first is a great way to go! These rich orangey-red poppies couldnt be lovelier or a more perfect theme for a warm summertime wedding. I adore the lush, romantic and gorgeous vintage feel these invitations exude. This is a party I want to attend! Heather gray makes me oh-so-happy, and its perfect in this ultra modern design. The sweet and slightly unexpected combination of the Blush and Daffodil ink colors is to-die-for. I like the circolo. It feels fresh as a wedding invitation. Guild reminds me of peacock feathers! I want to use these asap. Too cute! Great pics. Thanks for sharing. These are so stylish! I’m a wedding photographer from Bournemouth, UK. I will definitely have to show these to all our new clients.